Democrat David A. Lawson, of New Milford, candidate in the State Senate 30th District. Wednesday, October 5, 2016, at the News Times in Danbury, Conn.
NEW MILFORD — David Lawson, chairman of the New Milford Board of Education, is attempting another run for the 30th state Senate District. 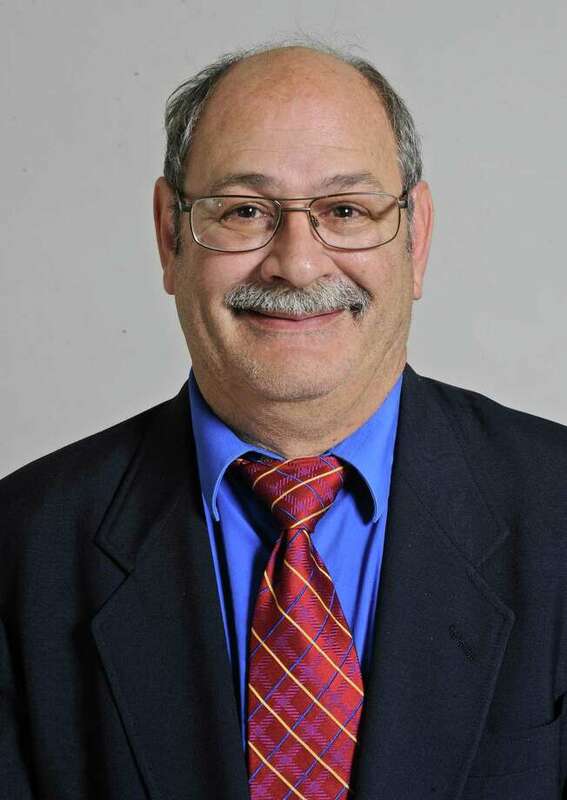 Lawson, 59, has lived in New Milford for 30 years with his wife, Lisa, and served on the school board for four terms. He taught social studies for 34 years before retiring last year. The seat is currently held by state Sen. Craig Miner. Lawson said it’s important for the district, which includes 14 towns, to have a voice in Hartford as the legislature cuts programs and awards grants. He added it’s important for the state to address its budget and pension problems. He said the state must invest in its people to ensure long-term growth in jobs and stimulate the economy. This includes cutting red tape for small businesses. He added companies look for good educational systems and healthcare and so the legislature should not cut educational cost sharing or add unfunded mandates, as well as preserve the university system. It should also offer affordable healthcare, including funding mental-health and anti-opiate programs. “The keys to bringing jobs to the region is through improving educational opportunities in vocational studies, investing in worker retraining programs for skills that are in demand, and putting resources behind STEM education along with the arts,” he said. Lawson also hopes to protect and preserve farmlands, open spaces and waterways while supporting land trusts and conservation groups.